Rent Reds Wine Tavern | Corporate Events | Wedding Locations, Event Spaces and Party Venues. 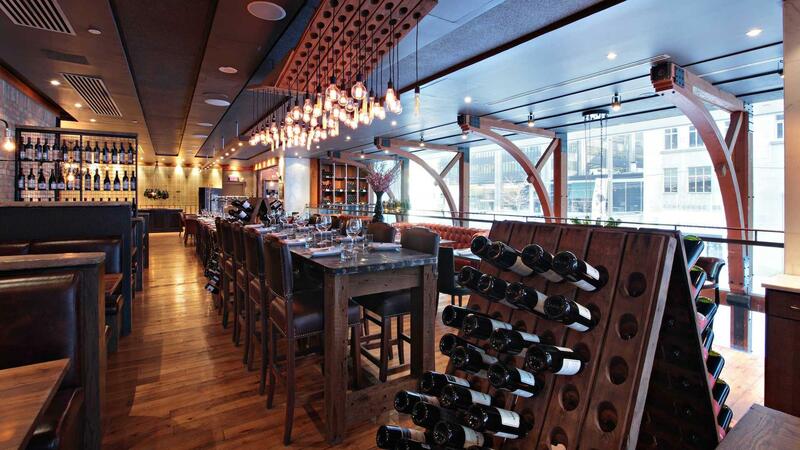 Reds Wine Tavern redefines social dining with culinary confidence and an engaging décor. Uncompromised values, timeless spirit and sociability prevail in a relaxed atmosphere. Our welcoming staff exude a warm personality and a true passion for food and wine. Converse with our executive chef and sommelier at our unique communal tasting table while enjoying one of our hand-crafted sharing plates. Enjoy a Reds classic cocktail or choose from our expansive inventory offering over 24 wines by the glass.